If you haven't check out the Cuttlebug Challenge this week then you should do so! We are celebrating Christmas in July and the Design Team has come up with some super fabulous projects to share with everyone! Every time I see the word Noel the song just starts going off in my head, which is not a bad thing since I do like the song. 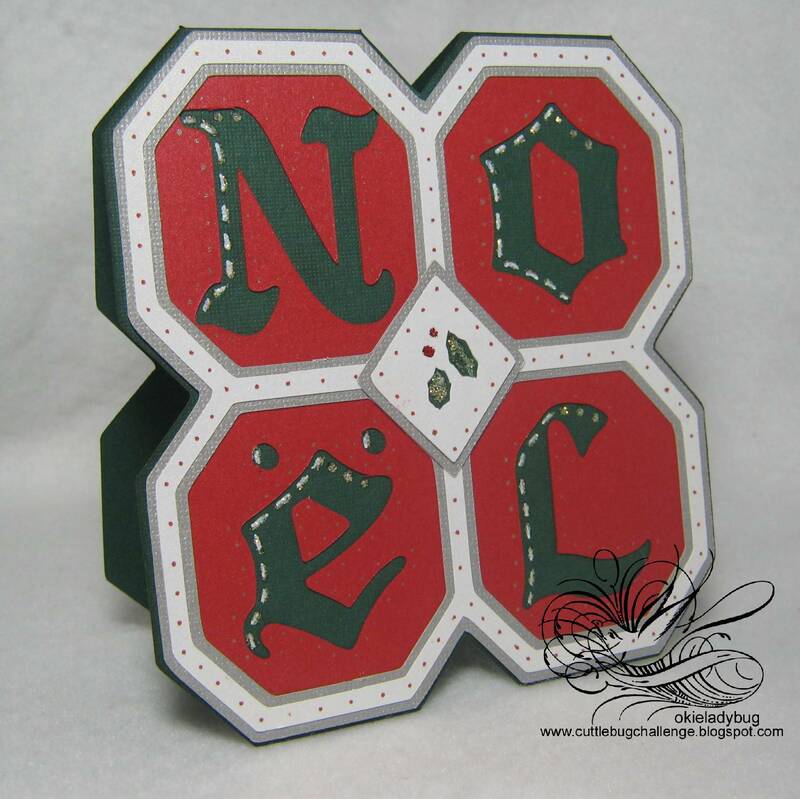 For one of my Christmas in July projects I decided to use the Christmas Noel cartridge and make a shape card out of the NOEL cut. It is pretty simple to make, especially if you download the cut file! HA! I did have to weld the shadow cuts since I wanted the card to keep the shape. The cut file is set to cut 2 cards at a time. Also on the base you will need do a hide contour of one of the diamond shapes so you have a solid back. I love this card. 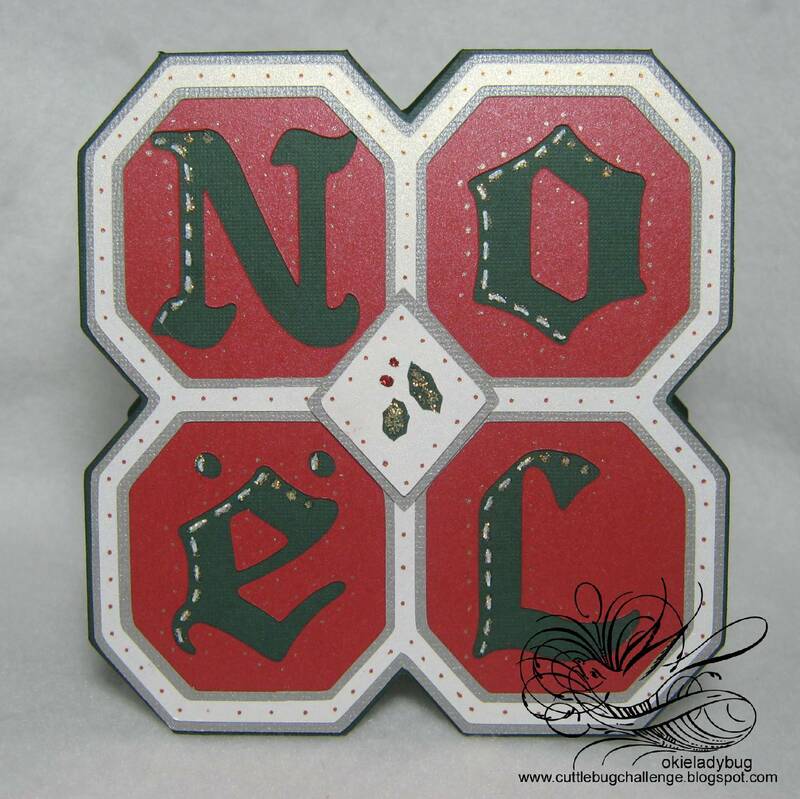 Everytime I see the word noel I thik of my brother. His name is Leon! He was also born the 29th of December. Awesome! I love the design and the cheery colors! TFS!